ORCSDcleanslate busy voter guide: Election Day is Tuesday, March 14 in Durham, Thursday, March 16 in Madbury and Saturday March 18 in Lee. 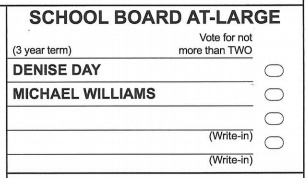 Vote for Denise Day and Michael Williams for school board (there are two candidates for two seats) and YES on articles 3 through 7. If you want football in the district, vote NO on article 8. If you do not want football in the district, vote YES on article 8. Lee voters, please vote NO on Lee article 5, to keep Lee an SB2 town. 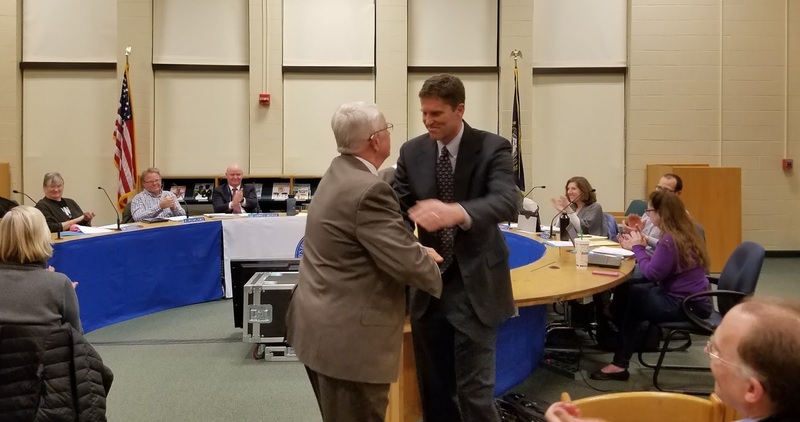 A YES win changes Lee back to town meeting governance, as opposed to the current form, where there's a Deliberative Session in February to amend the ballot, and then articles are voted on on Election Day in March. STORM UPDATE, Monday 7:02 pm There's a big snow storm predicted for tomorrow. As of now, Accuweather has it starting in the morning, 8 am. The NH Secretary of State's position is that postponing the election may subject the results to legal challenges. Two of our three towns have decided to postpone. Durham says their elections are ON! The police are offering to drive folks to the polls Tuesday. That seems iffy to me given that the major question on the Durham ballot is about an upgrade to the police station. Madbury says their election will be Thursday, 11 - 7:30, with town meeting commencing at 7 pm. Lee has postponed, moving their election to Saturday, 7 am to 7 pm. ORCSD has cancelled school for Tuesday due to weather. Click to enlarge these official statements from the towns and the district. Dennis Harrington is retiring after 49 years as an educator. He recently achieved his two long time goals of getting Moharimet a cafeteria and getting full day Kindergarten in the district. Dennis is of course greatly loved in the community. I'm sure there will be an event or two celebrating his career before he retires in July. This is my annual guide to the 2017 Oyster River School District election. I call it a biased guide because in addition to (I hope fairly) explaining each warrant article, I tell you how I'm going to vote, which is the biased part. It's going to be relatively brief this year as I don't have a lot of time. Election day in Oyster River is this Tuesday, March 14th. If you're a US citizen over 18 who lives in Lee, Madbury or Durham, you can just show up on Tuesday at your town's polling place and vote. Like almost all elections in New Hampshire, same day registration is available. So even if you've never voted or registered to vote in New Hampshire before, you can vote Tuesday. It's easier if everyone brings a state photo ID and if new registrants also bring proof of address (a utility bill), but under New Hampshire's voter ID law you can vote even if don't bring those. Durham (Tuesday): Oyster River High School 7:00 a.m. – 7:00 p.m.
Lee (Saturday): Public Safety Complex 7:00 a.m. – 7:00 p.m.
Madbury (Thursday): Town Hall 11:00 a.m. – 7:30 p.m. Article 2 elects two of seven school board members to three year terms. Only two candidates are running, but please mark their ovals. Denise Day has been on the board for three years, and has done a wonderful job. She currently serves as Vice Chair. Michael Williams (website) ran three years ago and lost to Denise and Sarah Farwell. Sarah isn't running for reelection, so now's the time to thank her for her fantastic service. Michael is a great candidate, an engineer with a Masters from Stanford and three young children, two at Moharimet and one soon to enter PEP. Here is the guild questionaire answered by both candidates. Unfortunately due to technical difficulties there's no video of Candidates Night. I was there along with a few others. There were actually about as many people in the camera crew as audience members, and it looked like they were recording with multiple cameras, so I don't really get how this failed. The plan was for the Candidates to rerecord their answers without an audience, but I haven't seen anything posted yet. Article 3 ratifies the teachers' contract. The raises are in the 2% range. I haven't been able to find the contract online to get more details. The board has been doing a good job keeping the raises at about the cost of living. I'm voting YES. 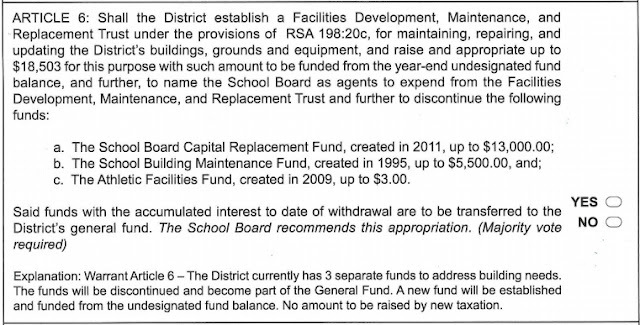 Article 4 asks the voters for permission to put $200,000 into the Benefit Stabilization Fund. This fund is used in some years offsets some of the increase in retirement costs, as the state continues its trend of shifting more retirement costs to local districts. I seem to recall we're using it this year, so a YES win sort of cancels that out. I'm voting YES anyway. My pet peeve is the "No amount to be raised by new taxation." We always see this in articles that ask for permission to take money from the fund balance, which is the amount raised and appropriated but left unspent at the end of the year. A NO win lowers the amount asked of taxpayers by $200,000 compared to a YES win, so this "no amount..." boilerplate language is pretty misleading. The fund balance is not a magic way to pay for things that doesn't cost the taxpayers anything, despite the language. Article 5. We built the field, so we don't need to Track Fund anymore. The three dollars in it goes into the general fund. I'm voting YES. Article 6 continues the housekeeping on the various funds. This is just moving money around, and doesn't cost taxpayers anything. I'm voting YES. Article 7 is the big enchilada, the $43.8 million budget request. The board met its goal of keeping the tax impact to under 3.25% in this very difficult budget year. If NO wins, we get the default budget of $44.0M. In past years, the default budget replaced Fund 10, which was confusing. It looks like this year they changed it to make it less confusing, which is confusing me. The main point is the default budget is larger than the operating budget by $200,000, indicating that the board kept a lid on unnecessary increases. In other words, if NO wins, your taxes will be higher than if YES wins. I'm voting YES. Article 8 was originally a proposal to add a football program to the high school. It was added to the ballot by citizen's petition. It only takes 25 signatures to get an article on the warrant. 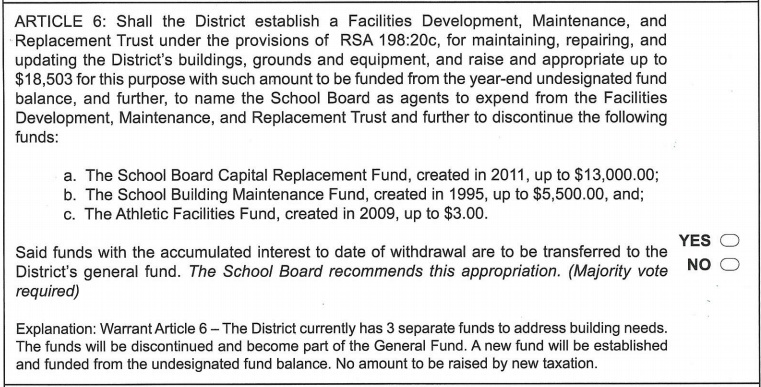 The original proposal had a budget of $35,000, only $5,000 of which would be raised from taxes. The athletic director determined that $64,000 would be a more realistic budget for first year costs, not including money needed to start a new girls' program, which would be necessary to satisfy Title IX without cutting other boys' sports. The AD also said the program would require $37,000 annually to operate in years two through five, though the original article only funded the first year. Mainly because of the budget, the board had indicated they even if the article passed, a football program would not be implemented. Such a decision is within the board's prerogative. At Deliberative Session the article was amended by anti-football folks to read like it does. It doesn't matter much; either way we aren't getting football anytime soon. This is more a poll of voter sentiment. Vote YES if you don't want football, and NO if you do. See you at the polls on Tuesday, Thursday or Saturday. Vote Day and Williams! This web site is often a walk-through like the knowledge. you wished about it and didn’ sathya sai school admissiont know who must. Glimpse here, and you’ll absolutely discover it.